A fine music system should not be complicated. It should be simple on the outside but brimming with the greatest technology inside. It should be engineered as a complete system, with all parts carefully arranged to perform in harmony. The purpose should be clear – technology serving art. At Aurum Acoustics our mission is to apply logical system engineering to deliver state-of-the-art music playback products. Our products are streamlined examples of purposeful design: technically sophisticated and feature-rich, yet easy to use. 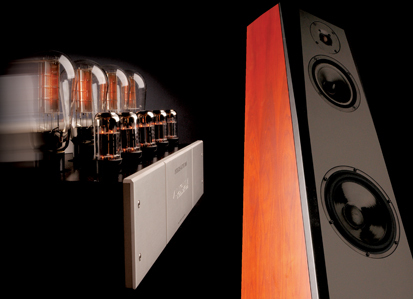 Above all, they are engineered to beautifully recreate the art of music. If you want to transcend the limits of conventional audio hardware, if you want to get more from your music than you have ever experienced before, then you are ready for Aurum Acoustics.